Crown and Brides are the artificial tooth, which are used after Root Canal Treatment procedure or to replace a missing teeth. We provide the best quality Crowns and Bridges, both imported and indian at best and reasonable prices with warranty certificates. Smile designing is a technique sensitive procedure in which we give proper shape, size, contour to your teeth to make your smile look charming and aesthetic. 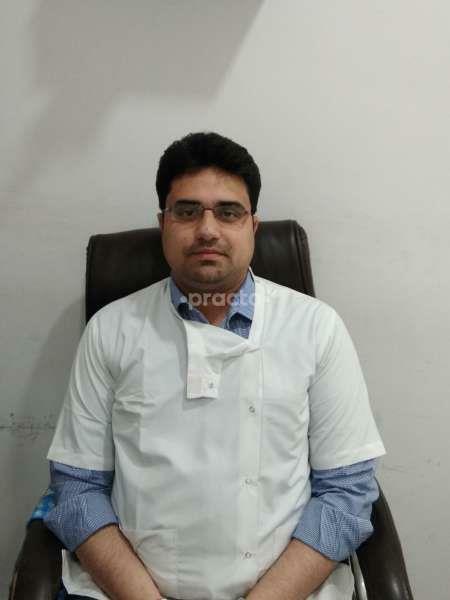 Dr. Kartikeya Sharma is a MaxilloFacial Surgeon & Cosmetic Faciomaxillary Surgeon. He is a Fellow Of Aesthetic Medicine from University OF Greifswald, Germany & a Senior Consultant at CONFIDENTAL MULTISPECIALITY CLINIC ( HAIR, SKIN & DENTAL) in Karol Bagh, Delhi, having vast experience in his respective fields. Some of the services provided by him are: Hair Transplants, Aesthetic surgical procedures like Blepharoplasties, Rhinoplasties (Aesthetic & Recontructive), Chin augmentation Surgeries, Jaw augmentation surgeries, Otoplasties etc Maxillofacial Trauma Head and Neck Oncosurgeries Non surgical aesthetic treatments by Fillers, Botox, Threadlifts and Chemical peels. Permanent Hair Reduction Tatoo Removal Mole and Warts Removal Mesotherapy Vampire Facial Lifts Cosmetic/Aesthetic Dental Procedures Dental Implants (Immediate Loading) Unbreakable Crowns, Bridges & Dentures Cosmetic Fillings Root Canal Treatment (RCT) Impaction/ Surgical Tooth Extraction Braces (Invisible) and Metal Braces Smile Makeover Tooth Whitening/ Bleaching Advanced Gum Treatments Paediatric Dentistry, etc. It is a specialised and well-equipped clinic along with other visiting Dental Specialists.